I saw Captain Picard. 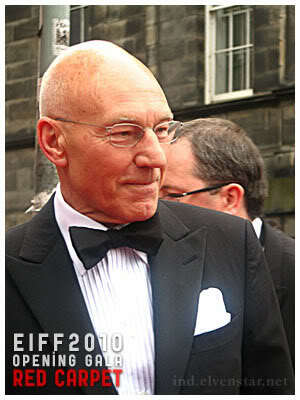 I mean, I saw Sir Patrick Stewart! And he was like, less than a metre away from where I was standing, watching the VIPs arrive and being a paparazzo. 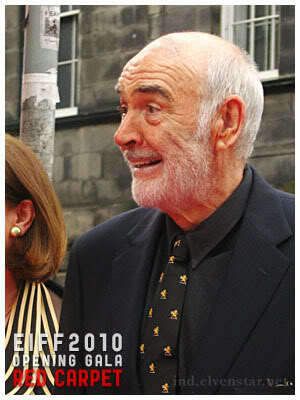 Also also also, I saw Sir Sean Connery!! We just about flipped out when this guy standing beside us called out to him and basically asked “Sir Sean” if he could have a photo with him. Connery nicely obliged and came over to take a picture (over the dividing railing) with this guy and thus we were tooootally within touching distance of him. I think we were just utterly star-struck, both thinking along the lines of, [We’re] THIS CLOSE to Sean Connery! Other big-ish names we glimpsed… Jason Isaacs (Lucius Malfoy in the Harry Potter movies; hard to recognise him without the long blond Malfoy hair) and Britt Ekland (whom I wouldn’t have recognised if I’d been there alone for sure). And America Ferrera (Ugly Betty). All cool, but still… highlights were definitely Captain Picard and Indiana Jones’ dad. hahah!